So the other day a friend told me about this new teen fiction series called Save the Pearls by Victoria Foyt. I’ve included the premise of the first book, Revealing Eden, as stated on Amazon below. Eden Newman must mate before her 18th birthday in six months or she’ll be left outside to die in a burning world. But who will pick up her mate-option when she’s cursed with white skin and a tragically low mate-rate of 15%? In a post-apocalyptic, totalitarian, underground world where class and beauty are defined by resistance to an overheated environment, Eden’s coloring brands her as a member of the lowest class, a weak and ugly Pearl. If only she can mate with a dark-skinned Coal from the ruling class, she’ll be safe. Just maybe one Coal sees the Real Eden and will be her salvation her co-worker Jamal has begun secretly dating her. But when Eden unwittingly compromises her father’s secret biological experiment, she finds herself in the eye of a storm and thrown into the last area of rainforest, a strange and dangerous land. Eden must fight to save her father, who may be humanity’s last hope, while standing up to a powerful beast-man she believes is her enemy, despite her overwhelming attraction. Eden must change to survive but only if she can redefine her ideas of beauty and of love, along with a little help from her “adopted aunt” Emily Dickinson. Let me just preface this by saying that I really tried to find a copy of the book at the library because I wanted to do my due diligence for this article, but since I am unwilling to actually pay for a copy we will have to use the Save the Pearl Website as a point of reference. Since the Amazon description is pretty well taken from her website verbatim I think it’s safe to say we have something to go on without even picking up the book. 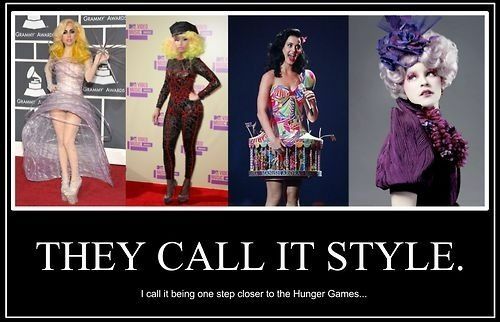 Alright, so she is trying to cash in on the apocalyptic theme which has clearly been a huge success with The Hunger Games, and to that I say fair enough. The thing is, I actually really appreciated the social commentary in those books; they seemed like a critique of both “real” TV and globalization. The way that the Capitol imports goods from various districts seemed as though it was a nod towards the way we in North America obtain our comforts from the developing world at very little cost to ourselves, especially with regards to safety, as we saw with the Bangladesh tragedy. Even Pinteresters have noted the connection. But if Save the Pearls is a social commentary she is doing it wrong. “Blackface is not edgy or progressive. Naming a race of people “Coal” is not a compliment. Telling us that “Pearl” is a slur does not make it so. 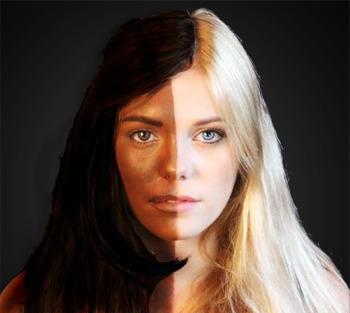 Claiming that the world’s hierarchy is dependent on skin tone does not mean that you can separate people based on race while ignoring their actual skin color. Calling your heroine’s love interest a “beast” does not imply his supposed beauty and high status. But KJ’s critique of Foyt’s book doesn’t end there. She finishes her post by calling out every single one of us whiteys who have ever tried to make racial issues about ourselves. In another article defending her series against what she believes to be unfounded critiques of her book, “Judging a Book by it’s Cover Gives Birth to Racism“, Foyt insists that all critiques of her book are actually racist themselves. She explains that the terms “Coal” and “Pearl” are meant to represent value in a post-apocalyptic world because “Coal has energy, fire, and real value. It is durable and strong, not easily crushed like a pearl.” While I started to follow her argument momentarily KJ carefully points out in her critique that it is unnecessary to split individuals into racial groups when hierarchy is built on skin colour and not race. Especially when you consider that genetic studies maintain that race consists along a continuum rather than specific quadrants and that racial grouping is based more on social constructs than actual genetic differences. Yet on her website FAQ Foyt explains that her social hierarchy is very much divided by race: Coals are black and Pearls are white, but there are also “Tiger’s-Eyes, or Latinos” and “Ambers, or Asians.” As far as I can tell there is no actual system that can rationalize the seemingly haphazard name choices for these racial groups. Foyt then goes on explain that “there is reason to support my belief [that this book takes a strong stance against racism] when you consider that the novel has won five literary awards” as well as several flattering reviews, which she also includes. In conclusion she insists that “if you ask if all these reviewers are white then consider that you have a racist point of view.” This statement in particular calls upon the ever-so-popular “colour blindness” argument, an argument that has recently provoked me to reconsider my own approach to conversations regarding race. So shame on us and our society that allows a series like Victoria Foyt’s Save the Pearls win literary awards and turn a profit by capitalizing on racism, while still allowing the white protagonist to remain the victimized and misunderstood main character. This entry was posted in race, Shame Day and tagged Amazon, ambers, Apocalypse, Bangladesh fractory, beast, black, blackface, book series, Caucasian, Coals, color blind, comments, heirarchy, Hunger Games, ignorance, Judging a book by it's cover, Pearls, race, racial slur, racism, Revealing Eden, Save the Pearls, shame, shame day, Social Commentary, tiger-eyes, tragedy, Victoria Foyt, white. Bookmark the permalink. I’d respond, but it would probably just be the Jasmine gif that followed the description. My favourite part about your critique of Foyt’s novels is your shining some light on her choices to name White and Black people “Pearls” and “Coals,” respectively. Add to that the fact that making White people the oppressed minority is no different from when science fiction writers throw their straight protagonists into bizarro worlds where everyone is a homosexual. It’s a pretty blatant, unsubtle way of forcing your readers into shoes they’re not familiar with, but in this case they’re reminded that they are, in fact, special.